An original version of this article about Facebook algorithm updates was originally posted on Medium. You can also check out my post with Facebook group best practices. We are all living in Mark Zuckerberg’s biodome. This is something we KNOW, but Facebook algorithm updates are a sudden reminder. 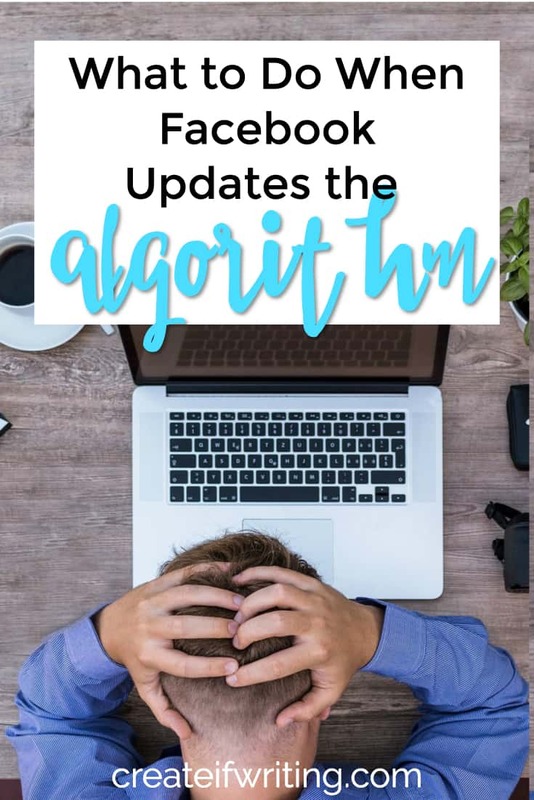 Yesterday Zuckerberg made a pretty enormous announcement regarding Facebook algorithm updates that has marketers and social media gurus scrambling for a response. To sum it up, Facebook is shifting to a “Family First” feed where we will see more from our family and friends and less from pages in our feed. As with all giant Facebook changes, I like to sit back and watch what happens. We don’t fully know what the impact will be, but the expectation is that page reach will drop even further than it ever has. This will likely increase the number of pages investing in ads. In the case of smaller brands and individual bloggers and marketers, it may simply mean giving up on pages or Facebook altogether. At the end of this post, you’ll find some actionable things that you can do, but for a moment, I want to talk about Mark Zuckerberg’s biodome. When you create a community on or offline, it is like an ecosystem. There is a delicate balance between living organisms and their habitat. Smalls shifts can have big impact.And, as we’ve learned (hopefully) from Jurassic Park, we can’t control other living things. Even in our own island, online community, or social media platform. A few months ago, a big influencer announced that she would be closing her Facebook group. I was fascinated by the response. Many of the members insisted that the group was no longer HERS. (And to be fair, the influencer rarely showed up there.) These members insisted that THEY had built the community. It was THEIRS. She closed the group anyway. Because, after all, it literally was her group. And yet…there is something to this idea that a community takes on its own life apart from its maker. The influencer may have started the group and set it into place, but community and communication had its own life without her. Relationships formed in her ecosystem that had nothing to do with her…except that they occurred inside of her space. We are inside Mark Z’s biodome. He owns it and can do whatever he wants with it. Facebook algorithm updates happen whether we want them to or not. But because it is an ecosystem, there is a life that has bred apart from him. He owns it, but does not own US. He makes the final call on what Facebook does, but we as users also shape its growth and movement. What if I like Facebook being a passive experience?? What if we aren’t ON Facebook for meaningful interactions? Wouldn’t our well-being be better if we got off social media altogether?? Probably. And that’s something he — oddly — predicts will happen after these changes. We’ll be happier on Facebook, so we’ll hang out there less? Um, okay. I have personally NEVER enjoyed an algorithm update as a user on any social platform. I don’t like to even visit Instagram or Pinterest after the shifts in the last year. Algorithms cannot fully predict what I want to see, no matter how sophisticated. So I question what a shift to create more engagement and “active” viewing will mean in my news feed. Many people enjoy lurking on Facebook, watching videos without liking or commenting or sharing (at least until the annoying ads show up in the middle and we keep scrolling). Not everyone is on social media to be social. I suspect that Facebook is more of an escape for people than a place that we go for meaningful interactions and engaging conversations. Mark Zuckerberg wants to change that. But you can’t MAKE me engage. Stop using algorithms to make engagement happen. Humans do not learn well from our mistakes. I’ll point to Hawaii introducing the mongoose and Australia introducing an insane number of invasive, non-native species to take care of problems. Mark Zuckerberg sees problems within Facebook. (And also he sees dollar signs. Let’s keep that in mind.) He comes up with a solution to that problem. Which leads to other problems. When he makes Facebook algorithm updates to stop spammy practices, fake news, and engagement baiting, life finds a way. (And by life, I mean marketers, good and bad ones.) He brings in an invasive species to quell the fake news problem and that invasive species sparks a new problem. The system is always game-able. So…what can we expect with this new addition to our ecosystem? PROFILES, MESSENGERS, AND GROUPS- OH MY! Here are my predictions for what this change may mean, as well as some best practices for what you (as a page owner) can do. Small brands will stop trying to use pages and flood their profiles with business-related content. 2. Messenger bots are going to become super annoying. 3. Groups will be on the rise. Many smaller brands (think: writers, bloggers, and people in direct or multi-level marketing) are already using their profile like a business page. This is against the terms of service, but I’ve never seen someone lose their account over it. And until Facebook cracks down on these kinds of posts, many people will continue to use their profile as a page. For the average page owner, I think this is the first change we’ll see. Which is essentially the opposite of what Zuckerberg wants. I’ve written before on the danger of bots and this update will, I think, only encourage pages to shift their marketing into Facebook messenger. With a tool like Manychat, pages can turn your simple comment on a post into a direct line to your inbox. You won’t even know what hit you. Choking out page reach means that marketers and brands will look for another way to get you. Chatbots and messenger marketing is a sort of wild west right now in the biodome of Facebook, so until another invasive species is introduced to tame it, bots can run rampant. Facebook turned its attention toward groups this year, which has good and bad implications. I’ve seen reach drop when posting as my page (not my profile) in my group. The option to boost posts in my group also pops up in my feed sometimes, a feature that is not widely available. But cool new features have also been introduced like insights, questions to vet potential members, and post tagging by topic (which I’ve only seen in one of my groups so far). Groups have the wide-open potential that pages had before the organic-reach-apocalypse of 2013. This makes them a relatively safe space to invest time and build engagement as a brand. As users and businesses alike wait to see what this shift will mean, this is a good time to remember that Facebook isn’t our biodome. No matter how wild the ecosystem grows and how much we as users shape the way Facebook grows, Zuckerberg can always shut off the power. Another option is that we could all move to a shiny, new dome if someone were to build it. For years I’ve heard people talk with great longing about the need for a new platform. Perhaps this shift might finally wedge open the door to let a new platform rise. Probably not. But MySpace didn’t see it coming either. If you are using a page, don’t panic! We don’t fully know how this will shake down. Organic reach has been really hard for a long time anyway. You’ll be okay. are smart, but it’s not like a human is actually looking through posts to see what is authentic engagement and what seems spammy. It’s hard to have engagement if no one sees your post, so this becomes a chicken-and-egg problem. You also can’t fake or game engagement. You have to do the hard work of finding ways to get people to like and comment on your posts. This means a bit more work and involvement from you and likely a lot less autoposting. DO consider creating a group. 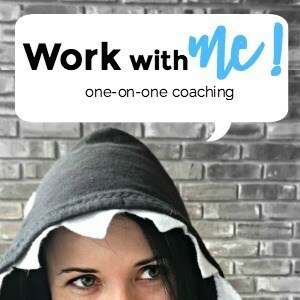 Groups are so much fun and can really be a great place to have conversations, connect with your people, and post things that people are more likely to see. See my tips for doing this well. DO invest in your email list. Your inbox has no algorithm. (Other than gmail’s tabs and folders, of course.) More than any other platform, your email list is in your control. You can directly contact your people and that value is huge. DON’T ever give everything to someone else’s platform. If you invest all your time and your money and your energy into a platform like Facebook or Twitter or Pinterest, you are building on a shifting foundation. Use these platforms, but always know that they are not yours. o not surprised. Or worried. These changes are more drastic, but they are also more of the same that have been coming down the pipe from Facebook. The dome will continue to adjust the temperature and introduce new species, whether I like it or not. HAVE A PLAN. GET A FREE PLANNER. 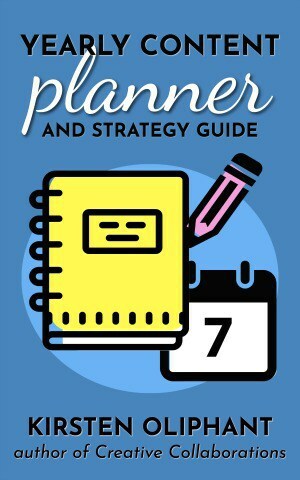 If you really want to get strategic with your engagement and your social media plan, download my 70+ page free planner to help you map out your content for the year. 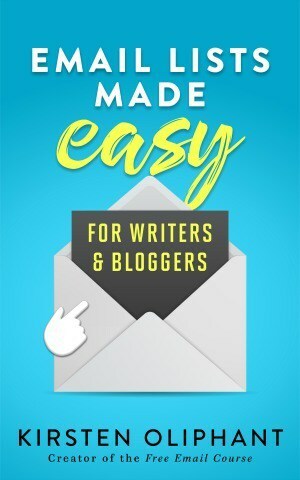 This means everything from your books you write to your blog posts to your social platforms. Don’t panic about Facebook. Get STRATEGIC! If you need me, I’ll be in my Facebook Group. Do YOU have thoughts on this update, either as a user or page-owner?? I’d love to hear them. This was fascinating. 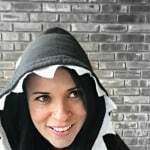 I just started my blog this week and am already wondering whether or not I should even bother trying to build a following on Facebook. The part about not relying on any platform was eye opening to me. Even YouTube is changing their algorithm AGAIN for their ENTIRE platform in reaction to the Paul brothers (which YouTube basically allowed to happen in the first place). I also wholeheartedly agree that you can’t force engagement. I’m a happy lurker that rarely posts or comments, and this new algorithm won’t get me to change that either. This was really interesting! I love your predictions too. As you said, we can’t force engagement (nor do we want to). It’ll be interesting to see how this latest biodome update shakes out.